Need a beautiful 60th birthday gift? 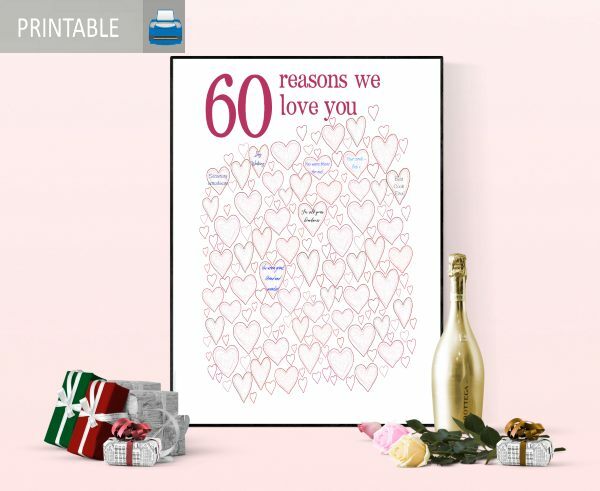 This fabulous poster comes with 60 hearts for filling out 'Reasons We Love You'. 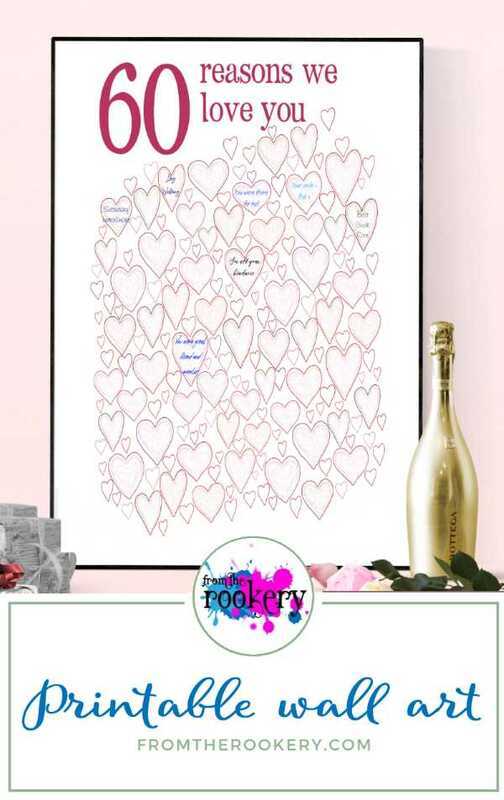 It makes a wonderful alternative guest book at a 60th birthday party. NO PHYSICAL PRODUCT will be sent in the mail. 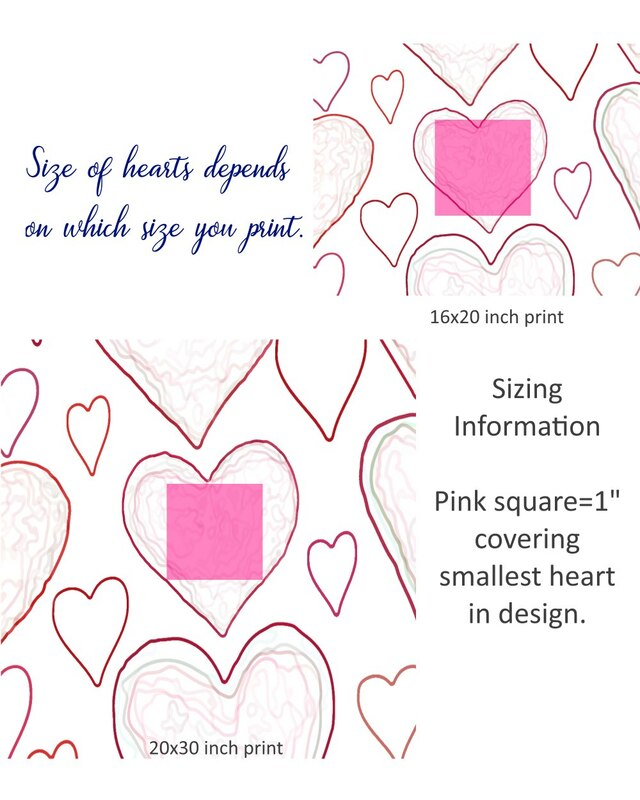 This is a printable download version ONLY for you to print yourself at home or at a print shop. After purchasing you will receive an email with your product download links. Because this has so many hearts it needs to be printed large. The download comes with 3 different sizes and can be printed as an 'enlargement' or 'poster' at your local print shop. 16" x 20" - standard size at Staples, Wallmart, Shutterfly, Costco etc. 20" x 30" - can be printed at Staples, Wallmart, Shutterfly and Costco. The color may be different than you see on your screen. You can print onto matte or glossy paper. 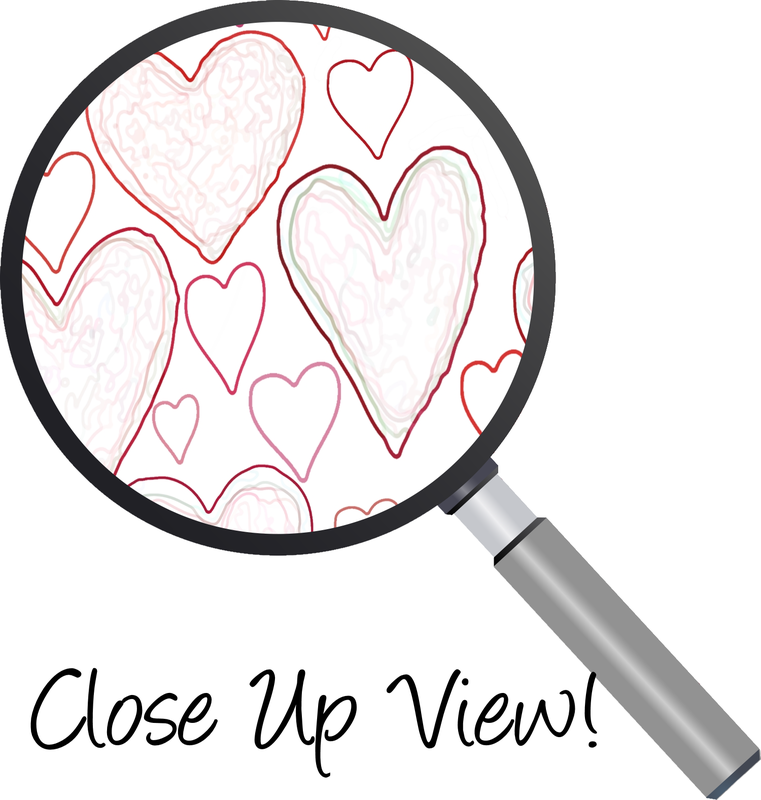 The print looks fabulous printed onto glossy paper BUT this is much harder to write on. You need to use a non-smudge permanent marker. My favorite are Staedtler triplus fineliner (dry safe) pens which come in lots of colors. Got a question? Check out my FAQ page here!